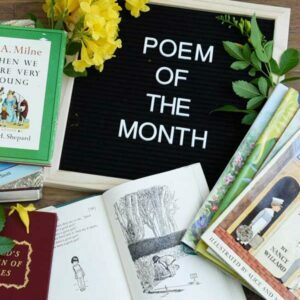 Welcome to Learning Through Literature’s Poem of the Month – Free Monthly Resource! You don’t need an English degree to understand it. Absolutely everyone can enjoy it. Reading poems to children is important. Reading poems to children can be delightful. Do you feel that way? Or are you hesitant to dive in? Reading poetry with your children can be simple and easy. In fact, it can become one of your family’s favorite things. Our Poem of the Month resource will help you engage your children with great poetry. We want to make it easier to read, memorize, and enjoy it with your kids. Don’t let a little intimidation cause you to miss out on an entire genre of literature. Here’s why reading and memorizing poetry is powerful for children. Feeling ready to read some poems? Below are the details of our FREE Poem of the Month resource and how to use it. 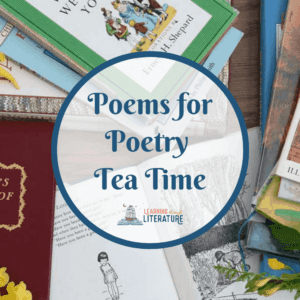 What is the Poem of the Month – FREE Monthly Resource? The goal is to make it easier to dive into poetry with your children. And there’s no charge for this, ever. We just love poetry a lot and want to help you love it, too. Simply open the PDF document, print or save to a device, and reference it when you’re ready to share it with your kids. Enter your email address using the blue form below, click subscribe, and you’ll be signed up to receive Poem of the Month emails (plus Learning Through Literature newsletter emails). Once confirmed in your inbox, you’ll be redirected to a page with the current month’s poem PDF document. We’ll send a link to each subsequent poem in an email at the beginning the month. You’re already on your way to the amazing benefits that poetry offers your whole family. 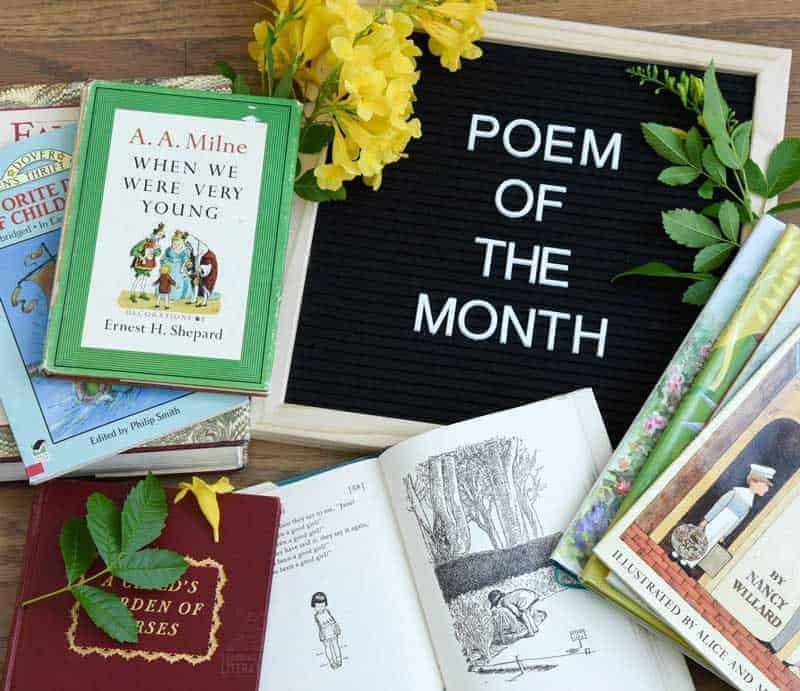 We won’t tell you how you must use the Poem of the Month in your home, but we do have some ideas on how to make it fun and get the most out of using the resource. Read for enjoyment. Start by reading the poem with the goal of simply sharing something wonderful with your kids. But no pressure for them to understand or find sudden inspiration to major in English literature. Just enjoy it together and have light conversation about it. Encourage interest with snacks. It’s a scientific fact, right? If you add food, kids will be more interested in participating. Also, their mouths will be occupied, which frees up their ears to listen. 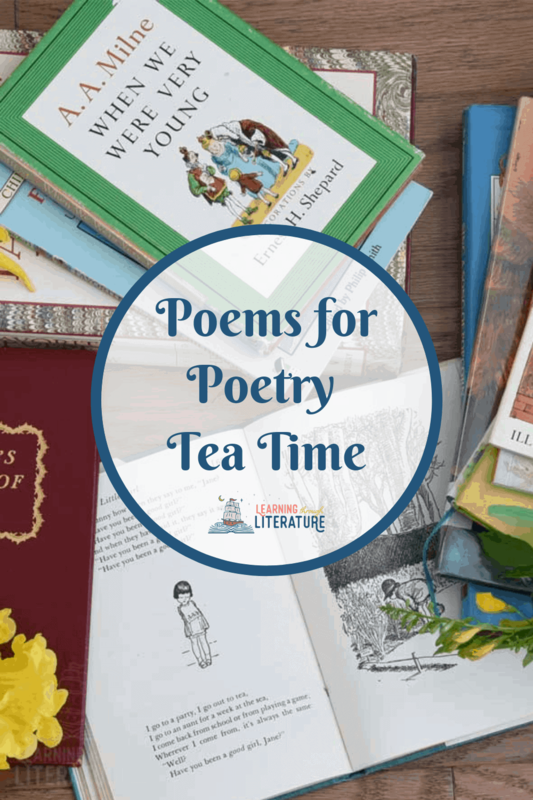 Consider having Poetry Teatime (tea not required). 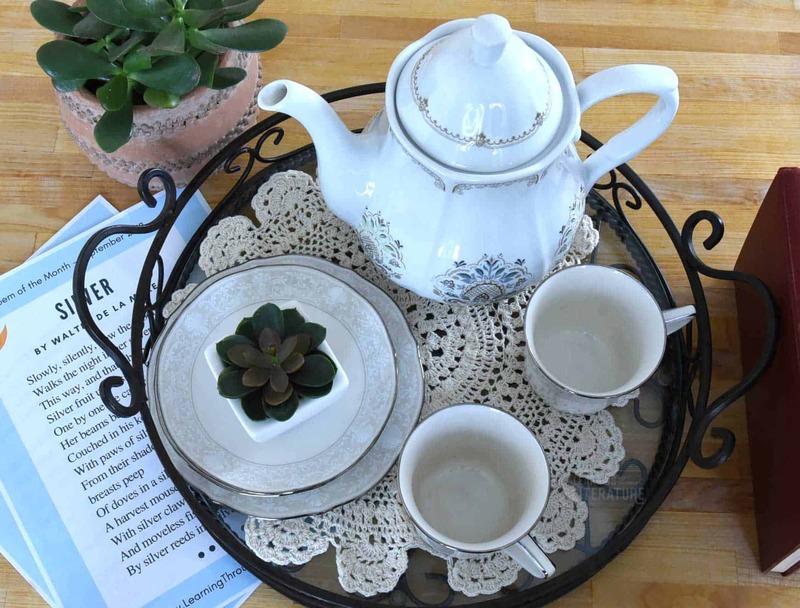 Julie Bogart created the Poetry Teatime concept to encourage families to make a regular habit of gathering for tea, snacks, and poetry. It’s delightful, and weaving it into routine means it’s more likely to happen. p.s. – Lemonade is a lovely replacement if you don’t like tea. Memorize the poem as a family. It’s much more fun when everyone participates. A memorized poem becomes part of family culture. Don’t be surprised when one of you quotes a line and you all understand exactly what they mean. Keep it light and fun. Don’t make an academic study of it. Yes, we included poetry devices to learn and explore, but that doesn’t mean you need to dissect the thing word for word. (Please don’t.) The terms are included to build familiarity and to encourage engagement. 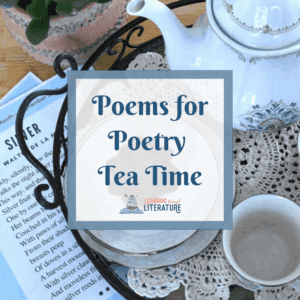 We hope this FREE Resource encourages you to add poetry reading to your family’s read-aloud time. 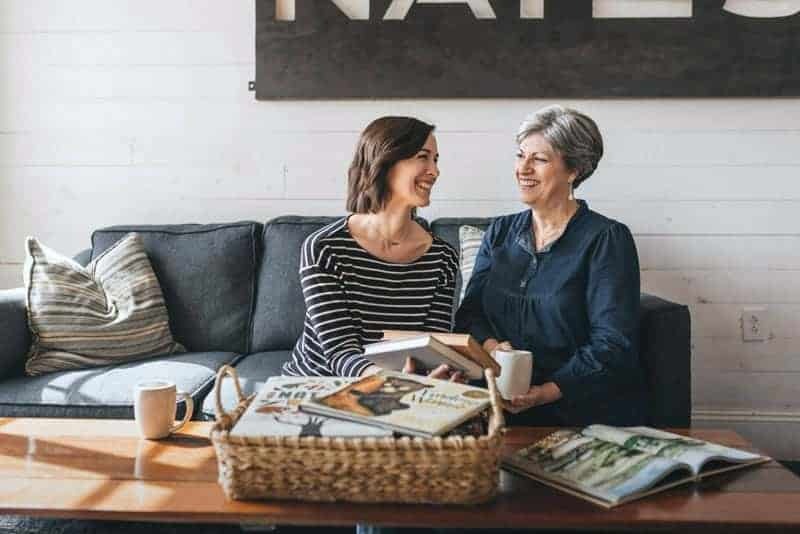 Read poems, delight in them together, and connect as a family.